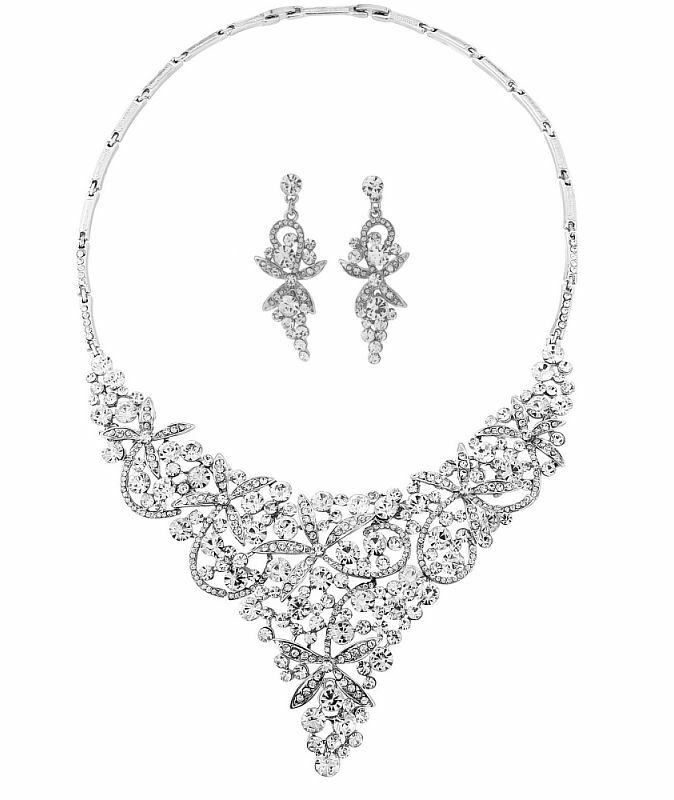 Glitzy crystal necklace set within a swirling V-shape design. Created using hundreds of clear crystals in a sparkly silver tone finish. Necklace measures approx 20cm in length- 34cm in circumference. The shimmering centrepiece measures approx 12cm long by 11cm wide. Earrings measure approx 5cm long.